Announcement: our new AMS Dual Remote Control! Adds Chorus Controller to your Delay, adjust pitch with a slider. Full RMX16 control. Bad ribbon cables. Nine 16-conductor ribbons are used in the RMX, up to twelve in DMX’s. Some of these cables have several connectors. Heat causes the cable to become brittle, and causes the 16-pin connectors to deteriorate. Handling causes aged cables to fail. Doing the math, one sees that an RMX or DMX unit has several hundred signals traveling through the pins of those fragile ribbon connectors. The loss of just one of these signals will prevent the unit from working properly. Bad power supply rails. The 5 volt regulators often fail; the +15 and -15 circuits often have problems as well. Cracked and burned motherboard foils are common. Power transformers go bad, causing the main fuse to blow. Bad PC boards. About half the AMS units that are sent to us for service have at least one bad card. Frequently, a leaky battery has damaged the microprocessor board. Bad switches and pots. RMX16’s often have faulty front panel switches; in most cases all 10 should be replaced. We replace any switches that are damaged or incorrect. Incorrect configuration jumpers and settings. We often see that attempted board swaps with other units over the years have caused “dis-allowed” PC board and motherboard combinations. Sometimes a board was plugged into the wrong slot, causing extensive damage. These issues can be very time consuming to resolve. Why are multiple problems so common? A bad fan may cause components or cards to overheat and fail. A shorted card can take out a section of the power supply. In some cases a technician damaged a fragile ribbon cable or created some other problem while attempting a repair. In many cases a DMX or RMX stopped working, was taken out of service for years, and then while in storage other parts failed. We begin by removing all the cards, cleaning and inspecting the chassis, cleaning all the edge connector sockets, cleaning all the contacts on the edge connectors, and replacing the main power supply capacitors. We test the power supplies and fan, repairing any faults that are found. The foam strips that hold the PC boards in place are replaced if needed. After we confirm that the power supply voltages are ok we reinstall the cards, and install a new set of ribbon cables. The 5 volt fuse circuit is updated, and we add a magnetic shield to the 5 volt supply. About half the time, the unit now works. If it doesn’t, we look for a bad circuit board. Frequently, more than one card is bad, which makes troubleshooting more complex. In this situation we check your cards one by one in a working unit, to identify the bad ones. • If it’s a S-DMX or a later version 15-80S, we install new software in the CPU and Effects Extender boards, and test the unit with a remote control. This confirms that the rear serial port works, and that the unit can be used with an AMS Chorus Controller, or our own Dual AMS Remote. • If it’s a RMX16 reverb, we install a new program set that adds 8 more original AMS RMX16 programs to the 9 on your unit, giving you 17 total. The 8 extra programs are Hall A1, Room A0, Room B1, Plate B1, Image P1, Reverse 2, Delay, and Freeze. 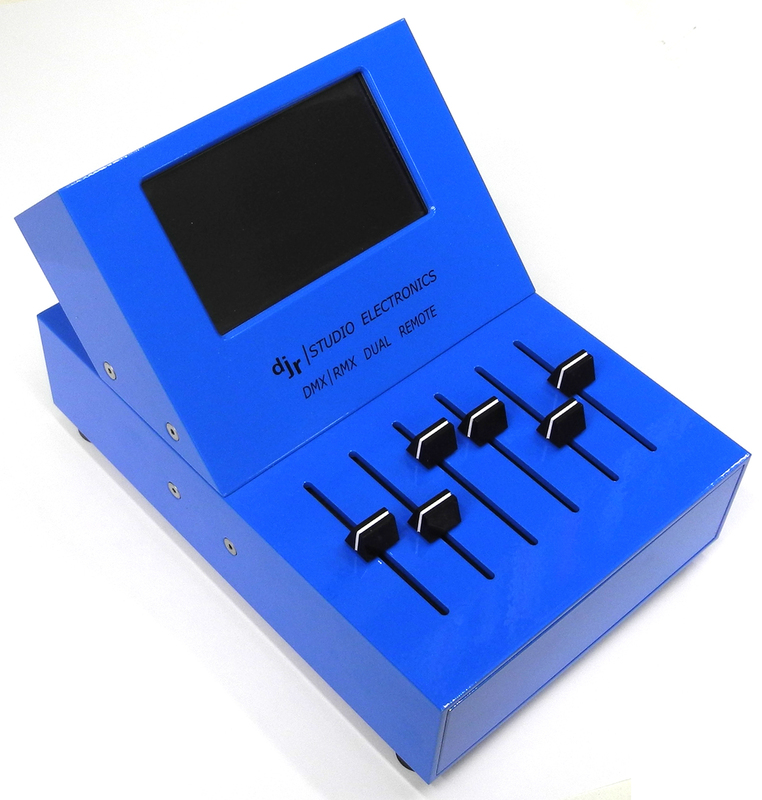 As with the delay, we’ll test your unit with a remote control to be sure the serial port works, and that the unit can be used with an AMS remote control or our Dual AMS Remote. After this, the unit is thoroughly tested, and then kept running for a week or more as a burn-in check. After the unit comes out of burn in, we completely test it one more time. Some units fail the second test, and must go back for further repairs. All these tasks are labor intensive. These units are very difficult to repair, and great caution must be exercised to avoid creating new problems. Repairing a single faulty card can take hours. What does it cost? These jobs are expensive, and there is high risk of additional work and cost increases. The base price for servicing an S-DMX or 15-80S is $1200, with a $900 deposit. An RMX is $1310, with a $950 deposit. If bad cards are found or there are other major problems the additional cost can be $500-$1000, or more. (If additional work is needed, we’ll contact you before going ahead.) Declined AMS repairs are subject to a $120 testing and evaluation fee. If you have any questions about our repair costs or policies, please contact us. Because these models are so costly to service and because total costs are so hard to predict in advance, we require a signed copy of our AMS Service Agreement for all units submitted for repair. If you have AMS that you might like to sell (in any condition) please drop us a line. We’re always interested in old gear, for repair or spare parts.